Marketing strategies for many drug companies are commonly designed to lure the public towards purchasing and using a specific product. In the case of e-cigarettes, these companies have effectively enticed people, particularly young adults and adolescents, enough to create a $1.7 billion industry in sales. A study by the Centers for Disease Control and Prevention (CDC) has revealed the concerning number of adolescents who use e-cigarettes, showing the use of these battery-powered smoke inhalers doubling among U.S. middle and high school students between 2011 and 2012 . Data from this study also reported that an estimated 1.78 million students used e-cigarettes in 2012, causing reason for concern as the impact of e-cigarette use on public health is unclear . 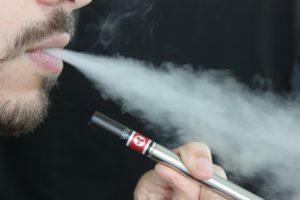 In fact, the Food and Drug Administration (FDA) has no regulatory force in this industry, and very few laws are in effect that prevent minors from purchasing e-cigarettes. 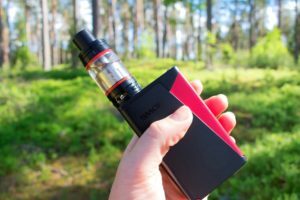 Because of how they have been marketed, many perceive e-cigarettes to be an effective smoking cessation aid, but in actuality, these products can be quite harmful. In contrast to what is commonly believed, these devices contain potential cancer-causing substances and deliver a mild dosage of nicotine, which over time can become addictive. 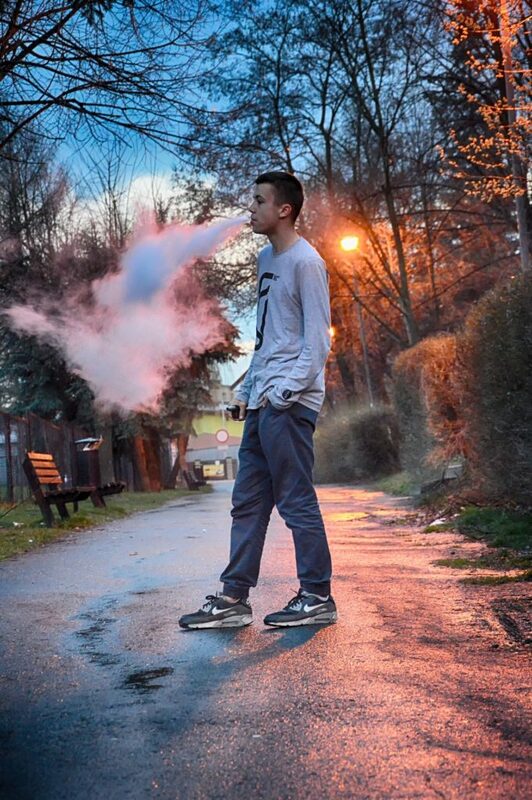 According to the CDC, concerns of e-cigarette use in adolescents include the potential negative impact of nicotine on brain development in addition to the risk for nicotine addiction and the introduction of the use of other tobacco products . Of course, these deadly health risks are not widely known, especially as they are carefully hidden behind the marketing force that sells these products. Young adults and adolescents in particular, are easily enticed by the way these products are showcased, such as with candy-flavored cartridges, intended to appeal to the younger crowd. While some Americans may successfully use e-cigarettes to wean of actual cigarettes, these products are reaching far beyond this intended purpose as more and more adolescents take up this potentially hazardous habit. As a parent or caregiver of a child or adolescent, it is crucial to be aware of the vulnerabilities younger generations are facing in this day and age. Fighting against the force of our culture and media is extremely difficult, and children often fall prey to external pressure, from both society and peers. Being an advocate for your child can prevent a world of struggle for them in the long-run. Addiction is not simply fashioned overnight but is the result of accumulating factors overtime. E-cigarettes may be a recreational activity for many youths, but the consequences that may result are not yet fully known. As something that could potentially lead to nicotine addiction as well as a myriad of other health complications, e-cigarettes warrant greater regulation. While governing bodies like the FDA may have little oversight of the current market, parents and caregivers can prove even greater influence over their children’s decisions. Take the opportunity to become involved in your child’s life; your encouragement and support can help them establish an unwavering foundation that will continually sustain them.